The EBA New Talents Contest© was organised for the first time at the 1995 EBA Convention in Monaco. Through the NTC, EBA tried to offer to young (or rather, new) bonsai enthusiasts the opportunity to show their talents to the general public and as such, stimulate bonsai as a hobby in its member countries. In order to give the opportunity to all EBA associations on an equal basis, it created the NTC where each country was invited to select their national candidate for the European heat. To that effect, the EBA Members organised a national selection and as such, gave a boost to bonsai activities in all Clubs throughout the continent. The competition will be administered by a sub-committee. The committee will consist of 3 members, one EBA Board member (Technical adviser), one member from the host country and one member selected by the RTM from delegates present. All countries with a candidate competing in the New Talent Competition must nominate a Judge. The person so nominated should have a good knowledge of the Art of Bonsai with a proven number of years as a Bonsai Artist. The name of the person selected, together with their CV in bonsai must be sent to the host country Secretary and the EBA Secretary three weeks before the publication of the next EBA Newsletter prior to the next EBA Convention. This will allow the name of all judges to be published in that Newsletter. The name of the person representing each country entering the competition must be sent to the host country Convention Secretary and the EBA Secretary three weeks before the publication of the next EBA Newsletter prior to the next EBA Convention. This will allow for the names of all competitors and the country they represent to be printed in the Newsletter. The pre-bonsai material – supplied by the host country - will be trees selected for shaping during the competition will be on show to the public and judges prior to being allocated to candidates. The host country must make every effort to ensure that the material presented for the competition is of equal quality. In practice this is virtually impossible to achieve, therefore a system of handicapping will be introduced. Prior to the competition the judges will inspect the trees and agree a pre-determined multiplication factor to counteract any given faults in the material. The draw allocating trees to competitors will take place with only the competitors and NTC sub-committee present. Judges will not be allowed to view the allocation of trees. The competition will be open to public viewing immediately following the allocation of trees. (A reminder, any coaching of candidates seen or heard renders that candidate liable to be disqualified.) The competition will be open to public viewing for the duration of the time trees are being worked on. Bona-fida photographers from Bonsai Magazines will be permitted to take photographs during the competition and of the trees after judging. At the end of the allotted time for work on trees, everyone will leave the room except the NTC sub-committee members. The NTC sub-committee will change the numbers on the trees to a letter prior to judging. After judging is complete the trees will be given their original number. Judging will take place with only the judges and sub-committee members present. a. Architecture: Idea – originality. b. Art. 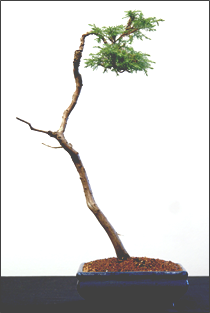 Use of bonsai art, common design, balance etc. c.	Techniques: Wiring, techniques used, shari, jin, (if used) branch shaping. d.	Botany. Perspective, vitality, future of finished tree. e.	Overall impression. View, aesthetics position, presentation, cleanliness. f.	Judges may use the score criteria in their evaluation - see below. On completing their evaluation Judges will not, as previously, give marks out of a given total, but will set the result by place. Each judge will select the first 5 trees in order of merit, for example the winner, 2nd, 3rd, 4th and 5th. They will hand their completed score sheets to the EBA Board member of the NTC sub committee. The sub-committee will collate the results. The results of the competition will be announced at the Gala Dinner together with the presentation of prizes. © 2015 Website | nysys All Rights Reserved.